We are fortunate to have FOTSA as part of our school community. They have raised funds over many years, which has been spent on equipment and resources to enhance our children’s educational experiences. However FOTSA is about much more than simple fundraising. FOTSA works hard to provide closer links between home and school and it is an excellent way to bring staff, parents and friends together to support the school towards a common goal. Some events are organized with the aim of giving the pupils a good time and way of thanking families for their continued support. We have strong links with the local community and are always supported by them, for which we are grateful. Many of our local shops and restaurants offer very generous donations as raffle prizes. We have regular meetings which are advertised in the newsletter and we send out text message reminders. Information will also be added here, to our FOTSA page. Our first meeting in October provides the opportunity for all parents to come along and hear in more detail about the work of FOTSA. Further meetings take place on a regular basis with groups meeting more often when planning a large event such as our Summer Fair. FOTSA funds are spent on the “extra’s” that are not provided by the school’s budget, making children’s learning experiences so much more fulfilling and exciting. 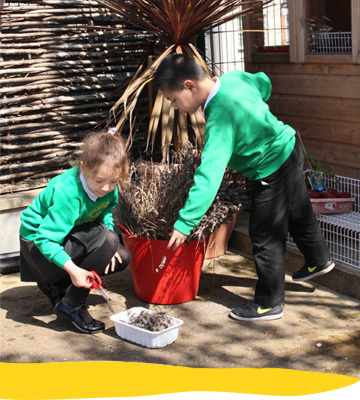 Last year FOTSA subsidized travel costs for pupils to access new experiences including visits to the Maritime Museum, Key Gardens, Palm House Nursery and the Millfield Theatre. We also purchased some sporting equipment, Christmas presents and leaving presents for Year 2. Further purchases plans include replenishing the Library stock. The are lots of ways you can help and support your child through FOTSA. It doesn’t matter if you can’t help on a regular basis. Look out for further information throughout the year. If you have any fundraising ideas, please let us know. On behalf of the pupils, I would like to thank FOTSA for the valuable support they give, enriching the learning experiences and making their time in school so enjoyable.